Ah, Florida. The land of sand, snowbirds — and real estate speculation. Ever since the 1920s, when the first real estate boom officially arrived at the doorstep of the Sunshine State, the idea that you too could own a sunny slice of Miami or Tampa has taken root within the American dream. But, as with any investment, the risk of loss is real and timing is everything. Florida housing prices, which hit a peak in December 2006, are slowly recovering after the Great Recession nosedive — the state’s fall was among the harshest in the nation — but recently, the trend is positive, stoking renewed interest in real estate. According to the S&P/Case-Shiller Index, considered one of the more reliable indicators of local real estate market trends, home prices in the Miami area have been on an uninterrupted march up since November 2011. Recently, in Lauderdale-by-the-Sea, a community just north of Fort Lauderdale, buyers camped out overnight for a chance to snap up new condos selling for $500,000 to $1 million. Investors will find real estate prices vary widely across Florida. In NerdWallet’s study of 227 places, the cheapest average sale price was $37.36 per square foot in Kenneth City in Pinellas County. The most expensive was Key Biscayne at $546.77 per square foot, a difference of over $500. So what area offers the best bang for your real estate investment buck? NerdWallet crunched the numbers to find out. Flip this. If your goal is to get in and get out with a profit, here are the top three communities when it comes to speed of sale: Hialeah Gardens, Lauderdale-by-the-Sea and Atlantis. Hialeah Gardens earned the highest mark, a 9.55, in our study on this metric — Zillow’s 2014 market health score. The quicker a house sells, the higher the score, with 10 as the highest. Beachfront bonus. The Miami-Fort Lauderdale metro area dominated our top 10 list — eight of our top 10 investments are located there. Going long? Florida’s housing market seems to make the most sense overall for those looking to invest in the long term. Most of our top 20 places have low scores when it comes to real estate market health, a sign of the continued impact of the Great Recession. Market health. We looked at how quickly houses sold compared with other cities in the state, as well as the change in vacancy rate. Price per square foot. Weighting for affordability, we measured the price per square foot of housing in a city, averaging all months of 2013 and 2014 to avoid seasonal fluctuations. Population and home price growth. Averaging monthly price data since 2004, we examined the percentage of houses that increased in value over the past 10 years. We also looked at the increase in population since 2010. Property taxes. Using state data, we calculated the city and county property tax for each city. Doral tops our list thanks to its relative affordability, low unemployment rate (4.4%, or over a full percentage point lower than the statewide rate) and strong population growth. This north-central Miami-Dade County city from 2010 to 2013 welcomed almost 6,000 new residents, a gain of more than 14%. In tiny Bal Harbour, population 2,569, price could quickly become a factor — it’s the most expensive location in our top 20 with an average sales price of $340 per square foot. Still, there are plenty of buyers. On Zillow’s 0-10 scale for speed of sale, Bal Harbour scored a healthy 8.66. The watchword in Homestead is growth. More than half — 56% — of its homes have increased in value over the past 10 years, yet housing remains relatively affordable in this city of 61,714 residents. Sale prices over the past two years averaged just $79.42 per square foot, among the most affordable in our study. Miami Lakes may not boast oceanfront property, but a full 57% of its housing stock has increased in value over the past 10 years, and vacancies have dropped 3.6%. That’s a good sign for investors who may have to pay a premium for this suburban location just north of Miami. Here, buyers paid an average of $152 per square foot for a house. Bargains abound in Marianna, home of our top 20’s lowest price-per-square-foot sale price of $61. It’s also clearly attracting new residents, with a 28% increase in the population from 2010 to 2013. Hialeah Gardens, population 22,136, had the highest overall market health score in our survey at 9.55. This means buyers who are looking for a quick turnaround on their investment will find many options to flip housing in Hialeah Gardens. 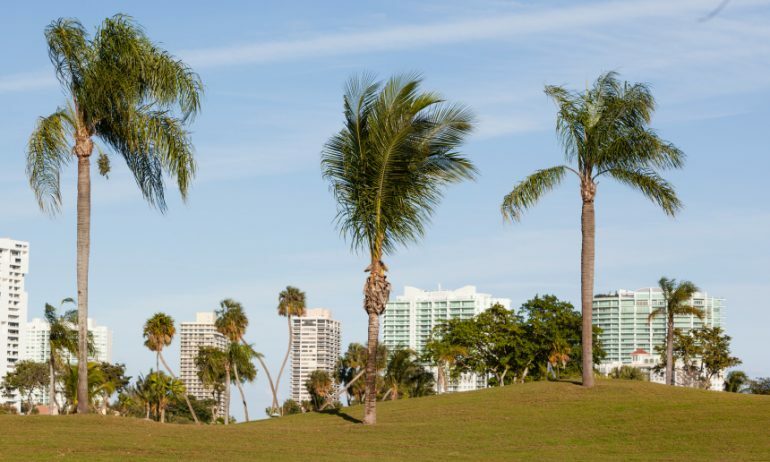 This diverse and growing community in northeastern Miami-Dade County is known for its high concentration of transplants from the Northeast, and its many high-rise condos. Buyers will find an average sales price of $227 per square foot and options for Intracoastal Waterway and Atlantic Ocean views. The city’s investment score also benefits from its 7.51% increase in population since 2010. This small suburban village in Miami-Dade County is the second-most expensive in our top 10, with the price of $269 per square foot. Its population has grown a modest 1.54% in recent years, and village leaders are thinking about expanding. A common discussion involves annexing land west of U.S. Highway 1 to help build out the small village’s tax base. Cape Coral moves in many directions: It is the largest city in our top 10 at 158,415 residents, and it has an average sales price that is the third lowest in our top 10 at $96 per square foot. It’s the only city on our list located in Lee County, which is also home to Fort Myers. Cape Coral residents are thinking about development, which can have a major effect on real estate values. Recent news reports have focused on plans to develop Bimini Basin as a community gathering place — with some ideas calling for a mix of commercial and open space. The only place in our top 10 near Orlando, Winter Garden has a lot to offer those diving into the real estate market. Its vacancy rate declined while its population grew over 13%, suggesting strong demand for housing. Perhaps it’s the nearby Disney World effect, but Winter Garden enjoys a particularly strong job market, which supports a growing housing market. The unemployment rate in Winter Garden in December, the most-recent data available, was 3.8%. By comparison, the entire state of Florida was at 5.6% for the same month. 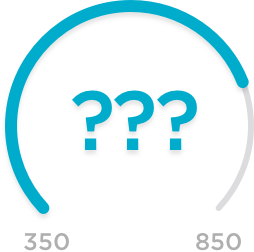 Market health score. This score is an average of Zillow’s 2014 market health score for each city, along with U.S. Census Bureau figures on changes in vacancy rates. Zillow’s Market Health Index uses a combination of 10 variables, including housing value recovery and median days on the market, to measure the health of a city’s housing market relative to others in the state. The quicker a house sells, the higher the score — a 10 is the highest. This is 30% of our score. Affordability. Using data from Zillow, we negatively indexed a house’s cost per square foot in each city to find how much a buyer could get for their dollar. The higher the score, the lower the cost per square foot. To avoid seasonal fluctuation, we averaged data from the 24 months of 2013 and 2014. This is 20% of our score. Growth score. Using data from Zillow and the 2013 American Community Survey, we averaged the percentage of houses that increased in value over the past 10 years, along with growth in population since 2010. This is 40% of our score. Tax rate. Using data from the Florida Department of Revenue, we calculated the combined city and county property tax rate for each place. All tax rates are per $1,000 of assessed valuation. This is 10% of our score. Aventura, Florida, image via iStock.